When it comes to running a successful campaign today, blending in is not an option. Quite frankly, it is harder and harder to get voters attention. And they can tell when you are simply “mailing” it in or pushing the envelope on cutting-edge design and messaging. That is why your brand and messaging must stand out and leave a lasting impact with voters. 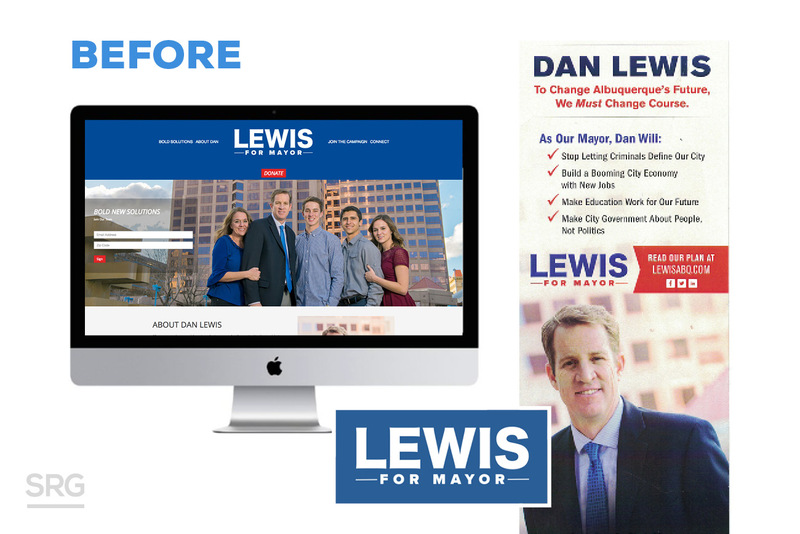 Take for example our recent creative facelift of our client, Dan Lewis, who is running for Mayor of Albuquerque. Dan is currently an accomplished member of the city council. There he has done great work to advance the city forward. But his previous branding, while fine for a city council race, left more to be desired with the elevated platform of his mayoral campaign. With nine candidates on the ballot, the traditional red, white, and blue branding did little to help Dan stand out. Now, having traveled to the ABQ to meet with Dan and his team many times, we knew that there was more to be done. ABQ is a uniquely prideful community and one that is fiercely loyal to its brand and arts community. So for Dan, we wanted to do something different when Dan became an official candidate for Mayor. We wanted to capture the spirit of Dan, the city, and its people. 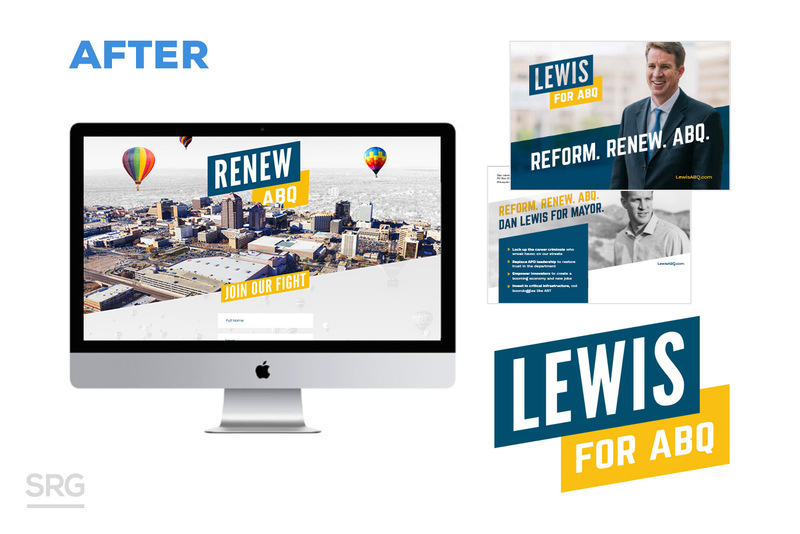 In addition to the launch of the new look and website, we sought to create a longform TV advertisement that would introduce Dan and his vision for ABQ just as the candidates officially qualified for the campaign. The video was met with great response on the ground – and quickly racked up more than 65,000 views in the first 48 hours. So, the question you have to ask yourself is simple, if your consultant is simply checking boxes and not aggressively working to help you stand out, are they really helping you? We don’t believe they are, and we are standing by to help put your campaign over the top.